Friends of Highgate Library, Shepherds Hill (FOHLSH) was set up in April 2017 to fight the proposed closure of our beautiful library. Thanks to the support of local residents and library users we were successful in our campaign in September 2017. Since then we have had a number of successful events and produced a proposal for installing a lift in the library so that there is disabled access to the community rooms on the first floor. In June 2018, Highgate Neighbourhood Forum, (HNF), listed that as a priority project for funding so the next step is to get funding for this from Haringey Council. Poetry reading by children’s author, raffle with prizes, and more! Celebrate that we stopped the closure of our wonderful library last year. Come and meet other library users, join us for tea or soft drinks in the beautiful gardens! We will be at http://lauderdalehouse.co.uk this Saturday 12 – 4pm meeting local Highgate residents and promoting our work supporting our wonderful local public library. As well as Polly Faber offering readings from her hugely successful books. As well as arts and crafts for children being led by a wonderful CSM Alumna talented creative, trained nursery teacher. As well as soft drinks and cakes. As well as a raffle, for which we already have donations from leading publishers and local stores. We will also be hosting our own FOHLSH Feasibility Meeting and Report at the Guy Fawkes Event. Here you will be able to hear more about how to make Highgate Library work and blossom for 21st Century usage. Also we have been kindly offered Elena Diaz: https://www.elenadiazmakeup.com local leading make up artist, who will be at the library giving make overs for donations. All proceeds will go to Highgate Library. Wonderful local children’s writer Polly Faber, will be giving readings at our Guy Fawkes Fair on 04/11 at Highgate Library. She has also kindly agreed to donate books to our raffle. All profits to go to the library. 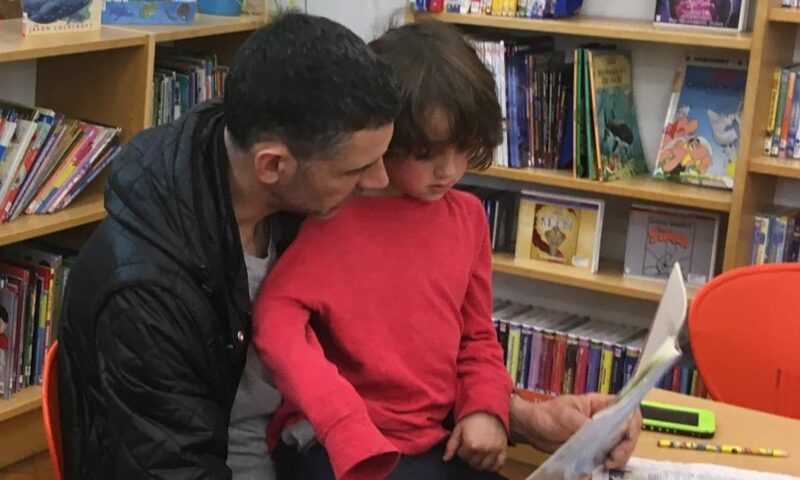 Offering our congratulations to George Danker Chair of Friends of Muswell Hill Library on the great news about the success of their campaign, and more. Please click on the link (the underlined part below) to open up the survey and then complete. You can either bring it back to Highgate Library, or email it to us at FOHLSH at the above address. Save The Date: Guy Fawkes Afternoon Party 04/11 – Highgate Library – Shepherds Hill 2 – 4pm. Admission Free. Leading Local Children’s Author Polly Faber, creator of the much loved Mango & Bambang series will be giving readings. Friends of Highgate Library – Shepherds Hill are delighted by the news from JLAC that in the face our our coherent, logical and consistent responses to their ideas to shoehorn Highgate Library from it’s much loved, current location into Jacksons Lane Arts Centre, they have now decided after all the money paid by Haringey to fund the feasibility: £24,000 without ever asking us the local library users or tax payers, whether this is how we wanted our money spent, to not go ahead with relocating Highgate Library. Imagine what that money could have done for our existing library? All along we raised concerns not only for the feasibility of relocating a well used and very accessible library into a Grade 2 listed former church building on a busy road, but also in each of the plans drawn up by Katy Marks there were clear compromises, not only for the library, but also for JLAC, who would lose vital space to make their business grow. We do indeed wish them a bright future, but wish that they had asked locals first before embarking something clearly so unpopular and to the detriment of the community: many of whom love and use both spaces. We are collating ideas for evening and afternoon classes for children and adults. Classes which will use all the space and the unique garden, Highgate Library has on offer. We are hosting a FOHL Guy Fawkes Autumn Party at Highgate Library, 2 – 4pm on 04/11, entrance free and all very welcome. Local author Polly Faber has agreed to do readings from her books, more information on this to follow. And we will continue to hold Haringey Council to account, because until we started campaigning, there was no discussion that JLAC would have their match fund from Haringey if the feasibility report showed it was not feasible. What was said until we attended the Cabinet meeting of Haringey Council in June, was the library had to be sold to match fund AND that there would be no public engagement. And while we managed to campaign vigorously and maintain a presence at every meeting, without a future with a public engagement process, we were worried by the utter lack of accountability and recourse with these very unpopular and unnecessary plans. With this in mind therefore with a background where last year Highgate Library had no printer and only last month no wifi, while we read reports from Haringey that it loves libraries, with the Save Hari campaign highlighting the loss of every single children’s librarian in the Borough, while Cllr Kobe’s quoted as saying this: “We always welcome innovative suggestions for making the most of Haringey’s fantastic assets, which is why we were happy to consider relocating Highgate Library to Jacksons Lane – which had the potential to create an exciting new cultural hub,” when the reality of the offer was a shoehorning, a complete lack of understanding of what SEN users needs are, and a loss of a wonderful existing Edwardian building, with so much to offer, if run properly, there is nothing innovative or exciting about it. Highgate Library is an enduring asset to our local community and long may it remain so. Our Highgate Library Remains Feasibility meeting: Date in Autumn TBC. JLAC Feasibility Report – Done But Where Is It? As we know, JLAC have been funded by Haringey to produce a report by Katy Marks, the architect chosen by JLAC to design their refurbishments and now to explore adding in the library service. Their report is now apparently ready. There has been a narrative of delays and lack of public knowledge through this whole process: a meeting with Haringey with no real advertising, until we did, JLAC delaying a deadline for survey responses, but not telling anyone, until we did, Haringey repeatedly saying they want to listen, but not holding a public consultation. No wonder people are so upset and angry. Last year the printer at Highgate Library didn’t work for most of the year, last month, the wifi and computers didn’t work for 4 weeks. With library users being asked to go elsewhere, to have these user numbers then be quoted as a reason to relocate, seems very disingenuous of Haringey. Boosting the income of one local venue, which is a private arts centre, no longer a community centre, at the cost and loss of a local landmark public library, which offers a free and accessible to all 6 day a week service, doesn’t seem community minded, or fully engaging for the entire local community. As many have said, it seems divisive, greedy and worrying. JLAC cite their 3,800 a week users as a success and a reason to co-locate the library. However the library has 1,150 users a week. It is open for fewer hours and is not using all it’s space, so more than half the size smaller. So how are these entry stats a success for JLAC, but not for Highgate Library? We have asked for a date for the grand JLAC feasibility report reveal from Haringey Library Services, but told that they don’t know yet. If they showcase that the relocation of Highgate Library into JLAC is feasible: which has always seems a moot point, as in theory we could all walk on a tightrope, but in reality only tightrope walkers can, then Haringey Cabinet will vote on this. Given they voted with no abstentions to agree the sell off in principle in June, before the feasibility report had even been started, there is real concern that despite of all our hard work and a clear strong desire for Highgate Library to best use it’s current location and remain where it is, that Haringey are proving single minded in their zeal to NOT listen to us, the library users, to NOT have a public consultation and now, NOT even have any real engagement with locals. That is why our survey: www.friendsofhighgatelibrary.co.uk/survey is important to start showcasing our ideas for how to best use the library on Shepherds Hill. We are collating ideas for how to respond to the JLAC feasibility report once it is public with our vision for Highgate Library Remains. We will be hosting a public event and detailing our ideas. Evening, Adult and Children’s Classes – What Do You Think You Would Like To Learn? One of the reasons why we are so keen for people to take our latest survey: friendsofhighgatelibrary.co.uk/feedback is because we are collating exciting ideas for classes we would like to host/support/see at Highgate Library. Imagine our beloved local library really using and utilising all three floors (yes there are 3 floors) and amazing garden space back and front.